If you're a Firefox user, you should probably begin updating your browser right now. 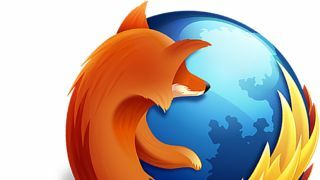 Mozilla announced in a blog post yesterday that a Firefox user in Russia had found an exploit in the browser, with Windows and Linux users most at risk. The user found the bug through a pop-up on a Russian news site that "was serving a Firefox exploit that searched for sensitive files and uploaded them to a server that appears to be in Ukraine." "Mozilla products that don't contain the PDF Viewer, such as Firefox for Android, are not vulnerable." Mozilla explained what types of files and softwares the exploit targets on Windows and Linux computers in its blog, noting however that it doesn't seem to target Mac at this point. You also might be unaffected if you have an ad-blocker in place. Regardless, Mozilla does have a fix in place with a new update, and is urging all users to update to Firefox 39.0.3 as soon as possible.